The Packaged Loans Group ("PLG") is part of CIBC Corporate Finance. PLG has a national mandate to assist CIBC with generating profitable business growth in the Commercial Banking space and has two areas of focus. Its National Franchising Services Group is a market leader in the origination, development, and servicing of full service banking programs for national franchise systems. Its National Industry Programs Group develops and coordinates the delivery of full service banking programs tailored to the needs of specific, targeted industries. The Senior Manager, Packaged Loans Group manages both franchise and industry programs and responsible for facilitating business growth by attracting new relationships to CIBC and retaining/growing existing client share of wallet. This position maintains close relationships and works directly with leading Franchisors, key Industry Stakeholders, Commercial Banking Market Teams, and Risk Departments across Canada. The Senior Manager, Packaged Loans Group also provides credit portfolio management and oversight of both franchise and industry programs at the portfolio level. Collaboration - Work collaboratively external and internal stakeholders , CB Markets and Risk Management to facilitate business growth. Increase revenue, authorized credit and loan outstanding's, business deposits, cash management fees etc. Maintain strong relationships and credibility with all parties. Risk Management - All Risk Management submissions are to be of high quality and well written (clear and concise). While not an all-inclusive list, credit submissions are to researched, analyzed, with a recommendation and supporting rationale and the 'appropriate' salient items are to be identified and commented. Ensure Risk Management is advised promptly of credit related developments that may have an impact on any of our stakeholders. Once identified of a deteriorating credit situation, work with Risk Management, CB Market to resolve. 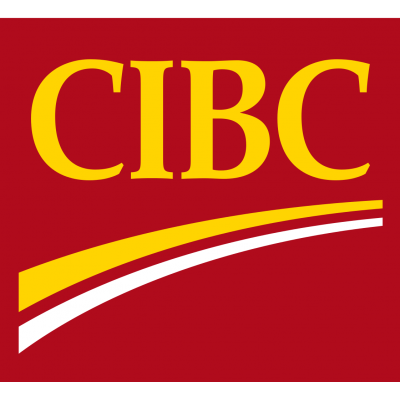 Ensure business decisions and risk tolerances are within CIBC's requirements. Industry Expert - Be knowledgeable of the industry and keep abreast of changes including potential impact to clients and our portfolio. At the program/portfolio level, be responsible for credit portfolio management of the programs including early identification of any issues/trends in credit quality. Ensure programs are 'on-market' (including pricing and credit structure) and competitive. Make price/re-price recommendations relative to market conditions. Portfolio Management - Your portfolio will provide coverage of Commercial Banking on a national basis. You will contribute to the growth of the PLG business, you will complete the annual credit renewals, and any other correspondence, with Risk Management and also the 'Program Document' to be used by the frontline. Program credit expiries are to be nil and the Program Document is to be clearly and concisely written. Actively support the frontline and Risk Management to close/retain individual opportunities/transactions. Assist in identifying new potential targets and industries, research, analysis, credit write-up etc. You put our clients first. You have well-developed client and relationship management skills. You engage with purpose to find the right solutions. You demonstrate experience in Commercial Banking. You have in depth credit skills including lending products and procedures/processes for structuring, approving, measuring, monitoring and managing credit relationships. The ability to identify and analyze business problems and develop solutions. Working knowledge of CIBC products and services. You have well developed communication skills, effective time management and organizational skills. You have a high level proficiency with computer applications. You have a degree/diploma in. You have completed a Business, Finance, Accounting, or a related field degree or diploma. Occasional travel is required. Willingness to have the personal flexibility and adaptability required to meet client requirements. Due to the nature of the role, you are expected to remain a minimum of 24 months in the role before you may be eligible for other job opportunities within the organization. For further information speak to your people manager. There are two open positions for this team, we will be hiring two individuals as Senior Managers.